It may have taken nine seasons to get there, but the gang on The Walking Dead is officially dealing with winter now, and all the problems that come with it. 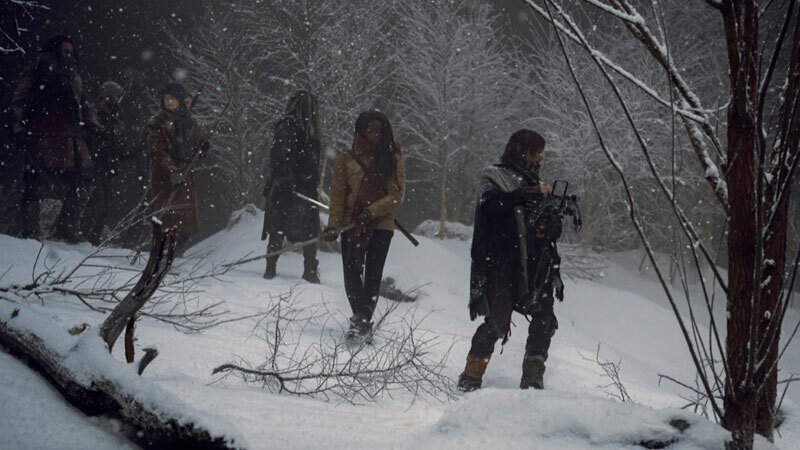 To mark the momentous occasion, AMC released two special behind-the-scenes looks at how the show created The Walking Dead‘s winter wonderland, and how they adapted their walkers for a new environment. While the first video concentrates on constructing a soundstage to look like snow-covered wilderness, the second video delves deeper into the relationship between the characters, particularly Negan (Jeffrey Dean Morgan), the one-time villain who’s managed to rehabilitate himself as a hero — or so it would seem. You can check out both videos in the post below! The Walking Dead will return for season 10 in October on AMC.